On March 9 we held our first ever “Owner’s Forum” in the Twin Cities and brought together some of the best minds in Business Succession and Transition Planning. We had over 150 business owners attend from across the Twin Cities area for a day of education and break out sessions. The “State of Owner Readiness Survey” results were also highlighted. 48% of Surveyed Owners indicated sales of $5 Million or more. 57% Are not confident that they are ready to transition their business. What does that tell us? It tells us that owners in our market know they need to start planning, but aren’t sure how to get started. from transitioning your company, we should talk. Our first consultation is always complimentary. No pressure, just good advice. Call me for more information. 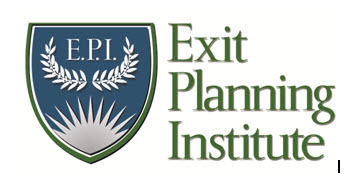 Another way to become more educated on business transition is to attend our Chapter meetings with the Exit Planning Institute. We meet monthly at Golden Valley Country Club. You’ll find more information about topics and registration at the same link highlighted above. Hope to see you there!